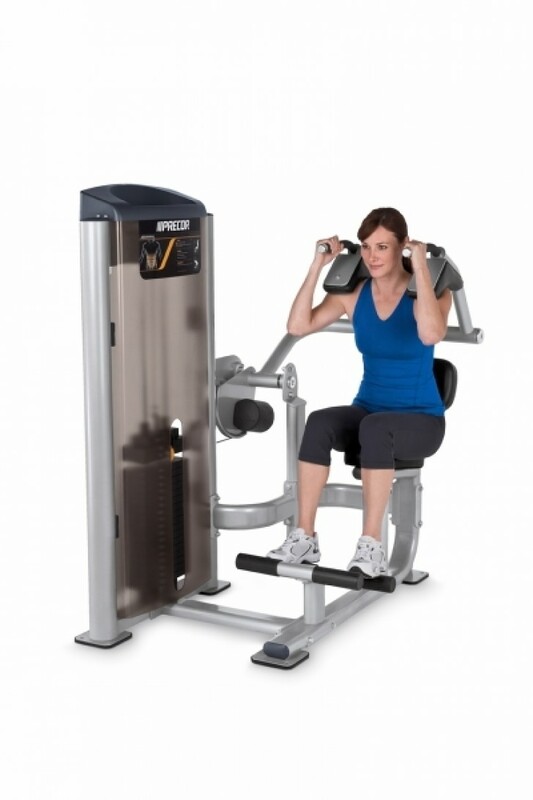 Vitality Series Abdominal features a walk-in-and-use design with no adjustments necessary. The contoured shoulder pads auto-adjust to fit all users conveniently and cushioned rubber hand grips add comfort. Users can easily engage the add-on weight with a simple push of a lever to increase the work load.